Keto Fridge and 17 Day Diet Delivery are designed to take the stress out of meal planning and this Keto Fridge VS 17 Day Diet Delivery comparison is designed to make it much easier to choose between them. Get a comprehensive overview of these companies’ crucial features and scroll down to discover the definite winner of the comparison. With the affordable 17 Day Diet Delivery, you get to accelerate your metabolism, eliminate fat and sugars from your system, and shed pounds while enjoying gourmet meals that taste great and do wonders for your waistline. 17 Day Diet Delivery provides its customers with one weekly menu, which follows the four steps of the program, including Accelerate, Activate, Achieve, and Arrive. With 17 Day Diet Delivery, you get 7 days of breakfasts, lunches, and dinners every week. The 17 Day Diet Delivery menu features breakfasts, lunches, and dinners that are low in carbs and fat and designed to promote fat burning. The meals can get quite exotic but mostly originate from the traditional American and French cuisines. 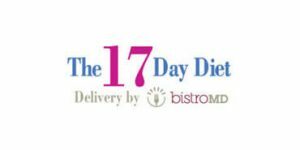 17 Day Diet Delivery is best suited for omnivores. 17 Day Diet Delivery aims to restart your metabolism by eliminating all the foods that are bad for you. It substitutes saturated fats and sugars and other bad carbs with healthy, natural, nutrient-packed ingredients. The average daily calorie intake with 17 Day Diet Delivery is 1,200 calories, including all three meals. The portions are somewhat larger than with most diets due to the careful selection of foods that are free from empty calories. With 17 Day Diet Delivery, you can make changes to your subscription until Sunday at midnight EST, following your first order. For all other orders, all changes must be made by Wednesday at 5 p.m. EST. 17 Day Diet Delivery does not have a refund or return policy. If you’ve heard of Dr. Mike Moreno and his book “17 Day Diet,” then you are probably aware of the possibilities that this weight loss program provides. If you’re looking to lose those excess pounds through a healthy, efficient and sustainable diet plan, 17 Day Diet Delivery could be your greatest ally. You will start losing weight in just 17 days.